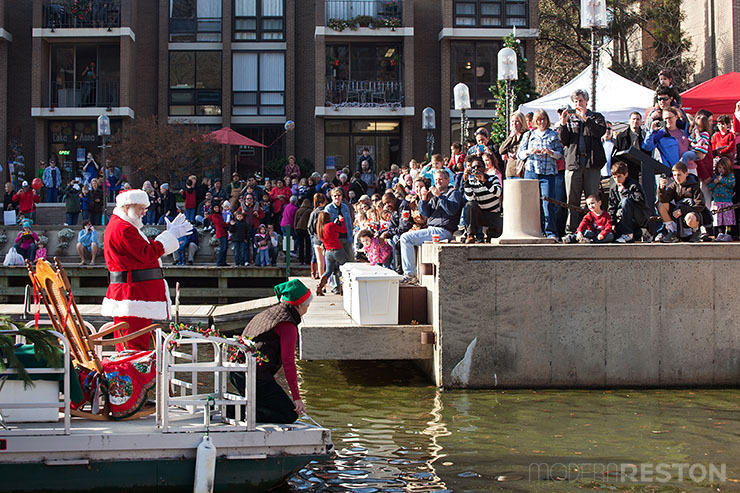 Don’t miss Santa’s arrival by boat at 12:00 noon. You might even find yourself wrapped up in all the excitement. One of Reston’s most adorable holiday celebrations happens this weekend, and it’s one your kids won’t want to miss. Jingle on Lake Anne takes place on Saturday, December 3, 2016, with activities throughout the day. The main event takes place at noon, when Santa arrives by boat to cheering crowds. Shop for produce, meats, baked goods, artwork, and crafts produced by local farmers and artisans. View the newest exhibit, which is a group show called “Holiday Sparkle.” Kids can create their own holiday ornaments with the provided supplies. Meet author Watt Hamlett and illustrator Jill Vinson and buy a copy of their fantastic new children’s book. 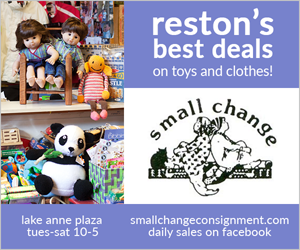 All of the proceeds from books sold at this event will benefit the Reston Historic Trust. Dozens of local artists will present their original work that include ornaments, small and large paintings, notecards, textiles, pottery, sculpture, fused glass and jewelry. Items are available for sale for holiday gifts. Participating artists donate ten percent of their proceeds from sales to the Cornerstones local charities. Kids and their families can enjoy free cookie decorating and holiday crafts. Adults can enjoy a beer garden, mulled wine, and wine tastings. Your kids won’t want to miss the thrilling moment when Santa arrives by boat to greet the crowds. Adults will even want to see this, because it’s sure to make you smile. Bring your own camera for free pictures with Santa. Restoration Church will lead Lake Anne’s tree lighting and a Christmas sing-along and provide homemade cookies for all the singers. 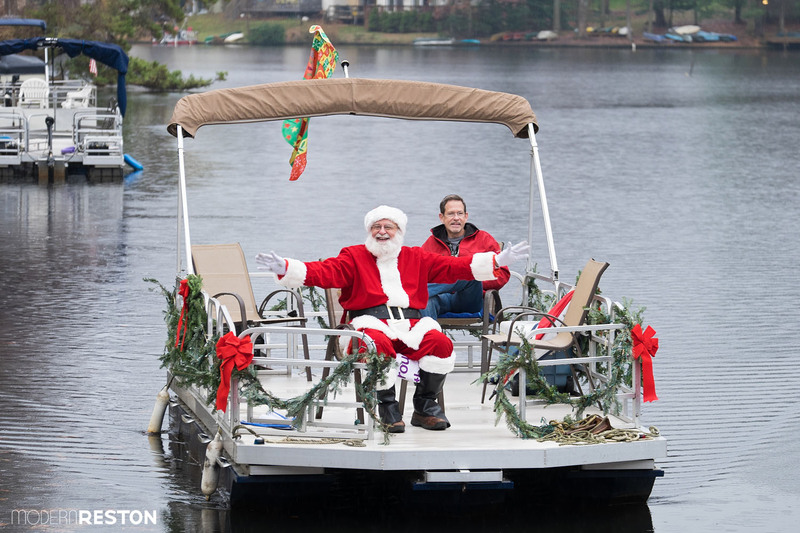 Watching Santa travel by pontoon boat is a Reston tradition that families love.